While they may be right, you should probably be concerned more with Blood Moon werewolf attacks because our hairy friends are bound to be uncontrollably agitated. 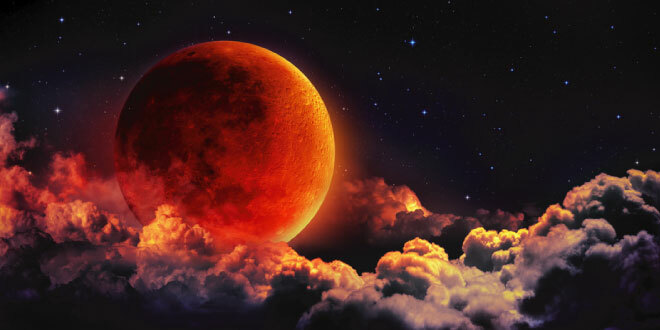 Some Christian preachers believe the upcoming fourth Blood Moon will signal the end of days. As evidence, they argue the full tetrad cycle, consisting of four lunar eclipses in a row, is consistent with two Bible verses: Revelation 6:12 and Acts 2:20. To date, there have been three Blood Moons. The fourth lunar eclipse will take place on September 28, 2105, completing the tetrad cycle that began on April 15, 2014. Is There Any Truth to the Prophecy? Depending on who you ask, the Blood Moon Prophecy is everything from the absolute truth to a moneymaking scam intended to sell books. EarthSky.org points out that the term Blood Moon doesn’t appear to have occurred anywhere in history as a reference to the tetrad before 2013. Throughout recorded history, there have been eight tetrads, and two of them coincided with the biggest Jewish feasts: Tabernacles and Passover. Eight more tetrads will occur this century even though, interestingly, there were none of these astrological events from the 17th through the 19th centuries. Supporters of the prophecy are pointing out that recent weather calamities, including droughts, floods and earthquakes, are signs that end times are near. According to the prophecy, the earth will be destroyed as part of the second coming of Christ. Of course, there have been numerous predictions about the end of days, should we take this one seriously? My guess is probably not, but that doesn’t mean the Blood Moon won’t have an effect on the cryptid community. Which, as it usually turns out, is not good for us mortals. There’ a very real possibility the fourth Blood Moon will impact cryptids in a dangerous way. In addition to increased threats by the reclusive monstrum, Wiccans will likely take advantage of this rare event to increase their combined power. Don’t be surprised if odd things happen on September 28th. 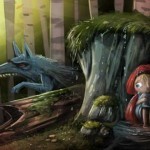 The most direct connection between a particular cryptid and the Blood Moon is, of course, the cycle of the werewolf. The eclipse will undoubtedly cause erratic behavior in those shapeshifting creatures that depend on the lunar cycle as a way of life. 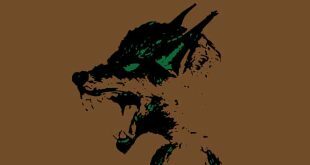 While many lycanthropes have learned to adapt and control their appetites for the sake of remaining safe and hidden from our world, the effects of the eclipse will likely reduce their grasp on the affliction. Your safety being paramount, it would be wise to steer clear of areas where werewolves have been previously spotted. 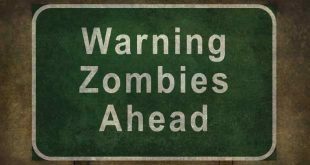 Unfortunately, since Halloween is quickly approaching, many thrill seekers may be heading to remote and isolated areas specifically to get their fright on. If you’re one of them, I recommend you travel in numbers and carry some silver, just in case. 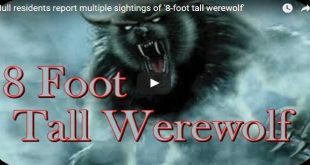 As a short list, I’ve written about werewolf sightings in Alabama, Kentucky, and Wisconsin. You might also want to double check our other stories to verify your not heading into an area where these cryptids dwell. 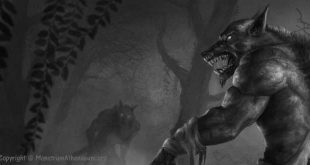 While many lycanthropes have learned to adapt and control their appetites for the sake of remaining safe and hidden from our world, the effects of the eclipse will likely reduce their grasp on the affliction. Also, be sure to check out this article on how to survive a werewolf attack. As for the Blood Moon Prophecy, if the end of the world is almost upon us, it may have an entirely non-biblical context. Instead, some scientists are concerned about six asteroids that they theorize could come close enough to Earth to do some serious damage. NASA has officially announced this isn’t going to happen, but at least one researcher has publicly stated we might not be hearing the full story. The most interesting part of the story is that these asteroids are supposed to have the best chance of colliding with the Earth between September 22 and September 28. Quite a coincidence to say the least. Regardless of whether the world ends or your chased down by a hungry monster, those of us who survive the fourth Blood Moon will undoubtedly be treated to some spectacular stargazing. But, in the event you do encounter a cryptid given the certainty of increased activity, make sure that you have your camera ready and hit upload!